As terrible as it sounds, I felt a certain reluctance in leaving to go down to see mum for Christmas. Initially it felt that I was leaving the computer and therefore the forums and therefore the chance to find more things out – I am prepared to admit, this aircrew research is bloody addictive – and this feeling makes me admit to myself that I am probably holding on a bit too tight…… A compromise seems to be to take the iPad with the ORB’s on it and a pad of paper. This decision proves to be an astonishingly good one…..
With only the ORB’s to protect me from the annual rubbish on TV I realise I now have the time and space to truly read them and I quickly begin find more about the boys in Bob’s 2 crews. A cursory skim through an ORB gives you a relatively easy crew list and raid history. With time and concentration this expands to find promotions and secondary histories of those that either passed briefly through the crew, or in the case of Sgt. Derbyshire, arrived late and then had to stay on to complete his 30 with another crew. An evening flipping through my notes and staring at Dad’s logbook on the ‘Pad provides me with an epiphany moment. Staring at a page covering his time at 1651 Conversion Unit, prior to deployment at Mepal, I suddenly realise I am seeing ‘B’ flight in front of me on the page – until now I have drawn a complete blank with one of the pictures that I got from Helen, the only ‘B’ flight Dad was in was in 1945 when he was back with 75(NZ)………apart from here, at 1651 – , if this is 1651, then the picture will contain his first tour crew. I get home 2 days later, print a copy of the ‘B’ photo as large as I can, put it into a tube and send it to Jack………….and wait. This entry was posted in general and tagged 1651 COnversion Unit, 1943, Allan Johnson Mayfield, Jack Jarmy, Robert Douglas 'Jock' Sommerville on December 26, 2011 by 75nzsquadron. And so the conversation begins. It’s strange, I know that Jack has been expecting to hear from me, he spoke to Kevin a few days ago and said I was trying to find out about him, but at the same time it feels as if he has been waiting for me since he last saw Bob, I know that’s sentimental rubbish – but that’s what it feels like. The first wonderful revelation – he didn’t even recall Dad was called Robert – it was ‘Jock’. I think this is fantastic, every cliché of RAF nicknames meant it would be obvious that Bob was ‘Jock’ he was Scottish for god’s sake, but to hear Jack say it, validates it and makes it fact rather than a whimsical notion. Listening to Jack talk, its clear he, Allan and ‘Jock’ were very good friends. 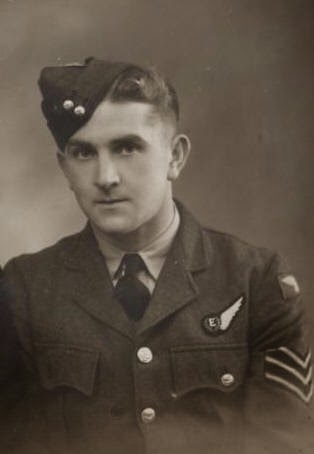 What makes this the more poignant is that he says he spent years after the war trying to track them down, days spent scouring Edinburgh and Glasgow telephone directories and all the time Dad was in Walton-on-Thames, married to Mum. Jack can’t remember anything about any of the other crew – I find this mildly frustrating as we talk, I can’t believe that he was so close to Allan and Bob and yet can’t even recognise a surname I give him – it feels if a bigger story is sat there, just our of reach. Jack is keen to talk more and suggest we meet up, I can’t believe it, this is like a dream. We agree to let the worst of the winter weather pass and we promise each other we will meet. We say our farewells and I put the phone down with a smile wider than my face. This entry was posted in general and tagged 1943, Jack Jarmy, Mepal, Robert Douglas 'Jock' Sommerville on December 22, 2011 by 75nzsquadron. Kevin replies the following day and his answer is not at all what I had anticipated……. With regard to the B flight photo I cannot make out the names as they are blurred on my PC. I have a record of J Coote but no full first name. I feel like I have been punched in the stomach – and I read the mail over and over again……. This entry was posted in general on December 19, 2011 by 75nzsquadron. I’m sat in the studio printing out the (very) high resolution scans of the pictures that I received from Helen. Sat at my desk listening to the photo printer grind back and forth I am suddenly compelled to look in a magazine box on the book case behind me. I do not have a religious bone in my body, I am also not superstitious – but I cannot honestly say that I feel that it was my decision to look in this magazine box. As I search through the box the search seems utterly pointless – it comprises old pay slips, car insurance certificates, cheque book stubs. I then come across a clear A4 document sleeve. The exposed front page is clearly a print out of a page from a website and its about 75(NZ) Squadron. I have no recollection of printing this document, but I guess I must have to take to show dad – based n the date at the bottom of each of the pages, some years ago. scanning through the pages, the printouts contain no information I have not re-accquired over the last few months. Partly out of frustration, partly through the normal illogical act of always looking on the reverse side of a single sided print, I turn the pages over and go back through them. The second page has 2 names written on it – again in my handwriting, but I do not remember writing them. 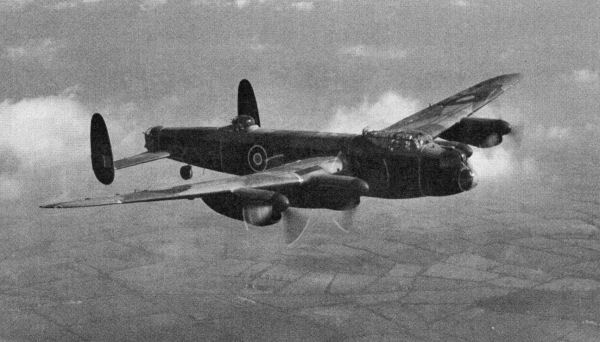 I partially recognise both of them – Mayfield and Jarmy – bob’s Pilot and Navigator – but this lists their first names as Alan and Jack. I sit looking at the names, not at all sure what to make of this discovery – more so to be honest the method of the discovery, rather than what I have discovered. I mail Kevin the names and see if he has anything extra to add…….. 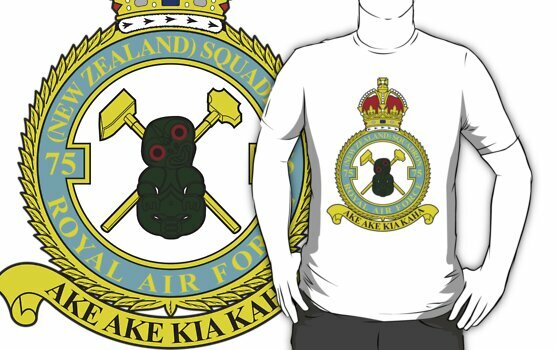 This entry was posted in general and tagged 75(NZ) Squadron RAF, Allan Johnson Mayfield, Jack Jarmy on December 18, 2011 by 75nzsquadron.